In this particular volume the issue of art as interference and the strategies that it should adopt have been reframed within the structures of contemporary technology as well as within the frameworks of interactions between art, science and media. What sort of interference should be chosen, if one at all, remains a personal choice for each artist, curator, critic and historian. The Leonardo Electronic Almanac is a collaborative effort supported by New York University, Steinhardt School of Culture, Education and Human Development; OCR, Operational and Curatorial Research; Leonardo; Sabanci University and Goldsmiths, University of London. 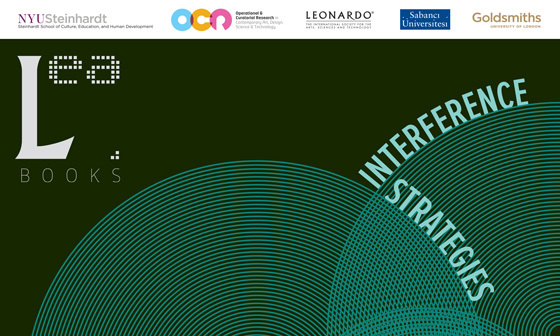 Interference Strategies: Is Art in the Middle?